Ronaldo surpasses Raul as Real’s Top Scorer in La Liga after netting five goals in 6-0 win against Espanyol on Saturday. Real Madrid forward Cristiano Ronaldo compensated his early season dry spell in dramatic style when he hit five goals in a 6-0 win at Espanyol on Saturday to turn into the club’s record scorer in La Liga. The Portugal captain has failed to find the net in Real’s opening two games of the season and began the day with 225 Spanish top-flight goals. Everyone was uninformed of the wonder he was about to do in the game. The 30-year-old Fifa Ballon d’Or holder opened the scoring following seven minutes and carried on his streak while scoring in seventeenth (Penalty). He completed his hat-trick in 20th minute and also leveled with Raul goal Tally of 228 before half time. In the second half it seems like Hat-Trick is not enough for Ronaldo as scored in 61st and 81st minutes crossing Raul Record by 2 goals and lead Real to 6-0 victory over Espanyol. Karim Benzema also struck in the 28th minute of the game but his contribution is overshadowed by the exemplary performance of the Portugal captain. 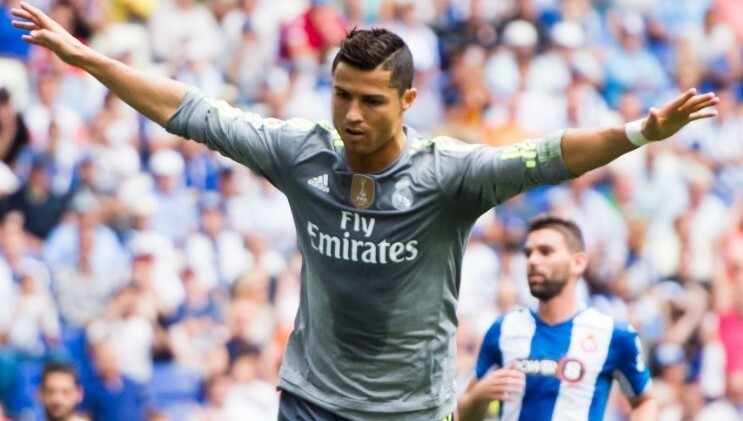 This was Ronaldo’s second five-goal haul, the first having come in the 9-1 victory against Granada in April. The Game end in double cheers for Real as Ronaldo transcended Raul’s record of 230 goals by putting 5 goals straight in the net and making his count to 230. Ronaldo’s latest glut also took him level with Lionel Messi’s record of 32 hat-tricks and means he is now on 318 goals in all competitions for Madrid, only five behind Raúl’s club best 323. With this achievement Ronaldo moved into fourth on the list of the leading scorers in Liga history following Messi (285), Telmo Zarra (251) and Hugo Sánchez (234). “Someone who scores so many goals has their place in history forever like Raul or Di Stefano,” said Madrid coach Rafael Benitez after the convincing victory. which hosting company you’re using? I’ve loaded your blog in 3 completely different internet browsers and I must say this blog loads a lot quicker then most.